When you unroot Samsung Galaxy Note 2 GT-N7100 smartphones you are removing the SuperSU app from your device. That SuperSU app was responsible for managing your rooting permissions with regards to the apps which require rooting permissions to work. Those are the apps found in the Google Play Store which suggest root is required before downloading. In short, it means you can no longer install those apps after you complete this guide to unroot Samsung galaxy Note 2 GT-N7100 smartphones. 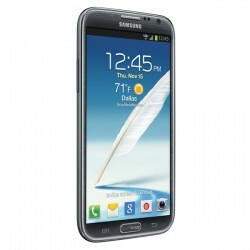 The following guide is made for the Samsung Galaxy Note 2 with the model number GT-N7100 only. You cannot use the stock ROM found in this post on any model number apart from the GT-N7100 or else you will brick that device. Download the Samsung USB Drivers  from our driver download page. You’ll easily spot the link by scrolling down the page and looking where it says the Samsung brand name. Alternatively, you can install the ADB drivers from ClockworkMod on the same page. Make sure you have the Developer Options menu unlocked by tapping over the build number you will find on the About Device menu. Make sure you have the USB Debugging Mode enabled by entering that same Developer Options menu you just unlocked or already had unlocked. You’ll find the Developer Options menu from the settings menu. Download the Samsung Galaxy Note 2 stock ROM from this Sam Mobile page here . Create a Sam Mobile account if you don’t have one already, and sign into that account. Download the latest Odin flashing tool from here . Shift both files over to the desktop of the computer. Right-click over the files and select the “extract here” option from the menu. Double-click the Odin flashing tool executable file and the Odin user interface will open on your computer. Turn off the Samsung Galaxy Note 2 and reboot it in the download mode. Start with it off and then reboot by holding the Volume Down + Home + Power keys until the screen changes. Press the Volume Up button from the next screen and your device will get in the download mode you need. Connect the Samsung Galaxy Note 2 smartphone to the computer using the USB cable. Click the PDA or AP button you will find from the Odin user-interface. Browse the desktop for the extracted stock ROM file and wait until the file name uploads into that same slot from the Odin user-interface. Leave the default settings as they are — make sure the Re-partition box is left empty. You can have the Auto Reboot and F reset Time options on before proceeding to the next step. Click the Start button and wait until the Odin flashing tool flashes that stock ROM to your device. It can take anywhere from 5 to 15 minutes to complete. You can easily tell when it’s done by observing the pass message available from the message box in Odin and your device will reboot. In conclusion, you have just finished the guide to unroot Samsung Galaxy Note 2 GT-N7100 smartphones.